Search Engine Optimization (SEO) is the practice of improving how specific web pages rank in a search engine’s unpaid results. But what tactics are companies using to achieve their important SEO objectives? 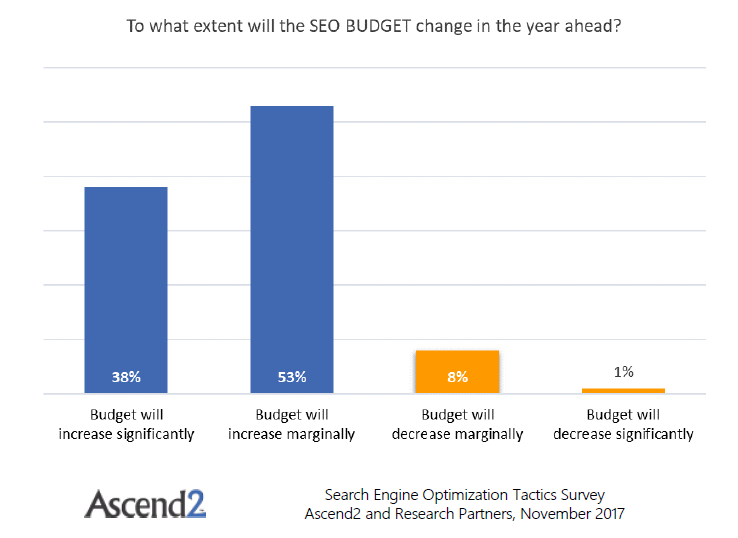 To find out, Ascend2 fielded the Search Engine Optimization Survey, and a total of 279 marketing professionals participated. 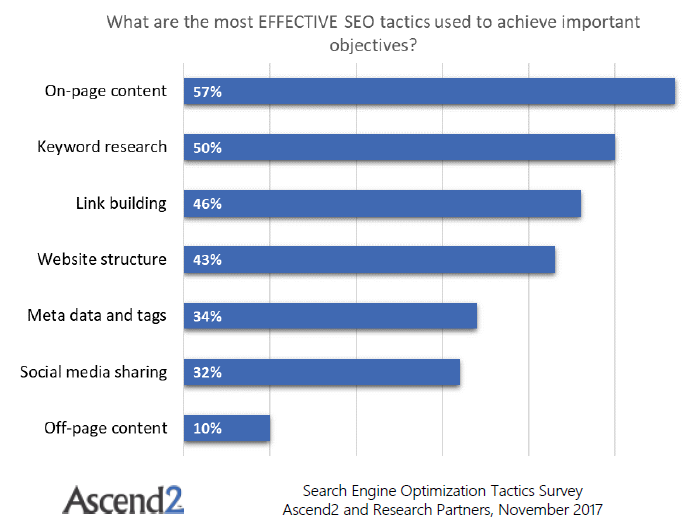 The results of the survey are available free of charge in the Search Engine Optimization Tactics Survey Summary Report. Here are a few noteworthy findings from the survey that will help you this year. There are many tactics used to achieve important SEO objectives effectively. For a 57 percent majority of marketing professionals, on-page content development is effective. 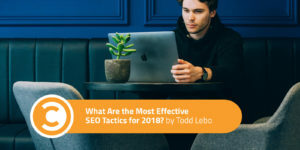 Keyword research, link building, and website structure are also effective tactics for 50 percent, 46 percent, and 43 percent of marketing influencers respectively. 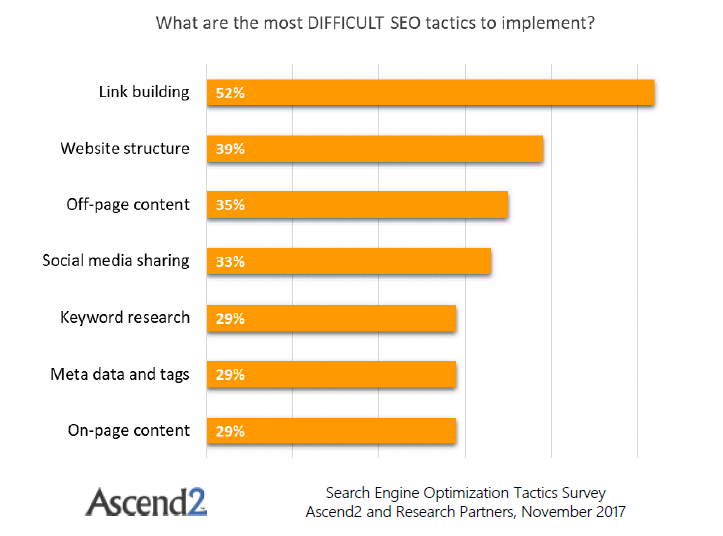 Link building is considered the most difficult tactic to implement by a 52 percent majority of marketing professionals. The tactical degree of difficulty is a primary factor in determining the implementation resources to use. The implementation of some SEO tactics, such as link building, may require skills and capabilities not always available in-house. 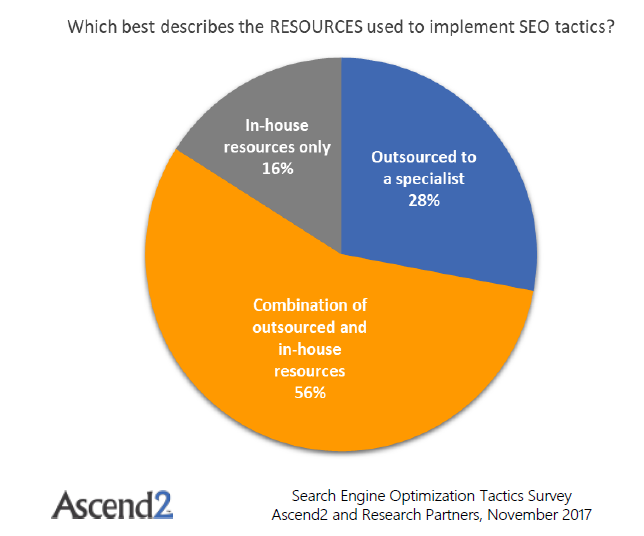 That’s why 84 percent of marketing professionals say they outsource all or part of their SEO implementation tactics to specialists. The trend is to increase the SEO budget in 2018 for a total of 91 percent of marketing professionals, with 38 percent describing the increase as “significant.” That’s a very promising outlook for this proven marketing initiative. For more research to help you determine your marketing strategy this year, visit the Ascend2 Research Library for research on content marketing, email marketing, marketing technology, data-driven marketing, marketing automation, landing page optimization, account-based marketing, and more.